Kristen Bell was our speaker. Then Taye Diggs gave Avenue Mamas a "You Got This" Message. Just sayin! As you know, I am a big fan of growing, learning, and connecting! I went to Mom2.0 Summit this year and bought my ticket for next year in Austin, so join me! I went to Yellow Co last week and will definitely go next time! Why do I like conferences? 1) Meeting like-minded people in real life. This may sound odd, but I have met people in real life and their social media personalities don't always match. Some have surprisingly more energy in real life, and some are more quiet than they show! Going to conferences really allows me to create lasting relationships with people I vibe with from the getgo. 2) Learning in a way that stimulates differently than an online workshop or book. 3) I always walk away energized and have new tools to apply to my business and I am a life long learner. I truly believe that we should never stop learning, growing, and discovering more. The dude who created Gray Goose Vodka was in his 70's! 4) I am an extrovert, a true ENFP and a Leo born the year of the Tiger, and love meeting people and hearing about their mission. I'm fascinated by creative people who aren't afraid to go after their goals and designing their life without limits. 5) Self-care. This is a time for me to be Annie, instead of Mom, Mommy, MOM, Mama!!!!! And recently, I was invited into the Boss Moms community a few months ago just on Facebook and decided that I'm going to take the plunge and go to their retreat in San Diego! Every time I have interacted with that community, all I see are people who provide really good pointers and content. Usually groups can be drama, but this one has not been despite being really big, over 30K members. Here's that video of this handsome man and his message ! I wanted to tell you I am going to the retreat just in case you want to come. A lot of people have said they wish they knew what conferences I plan on going to, so here you go! It is taking place September 30- October 1st in San Diego, CA has been specifically designed for mom entrepreneurs who are looking to give their business the growth spurt it needs. 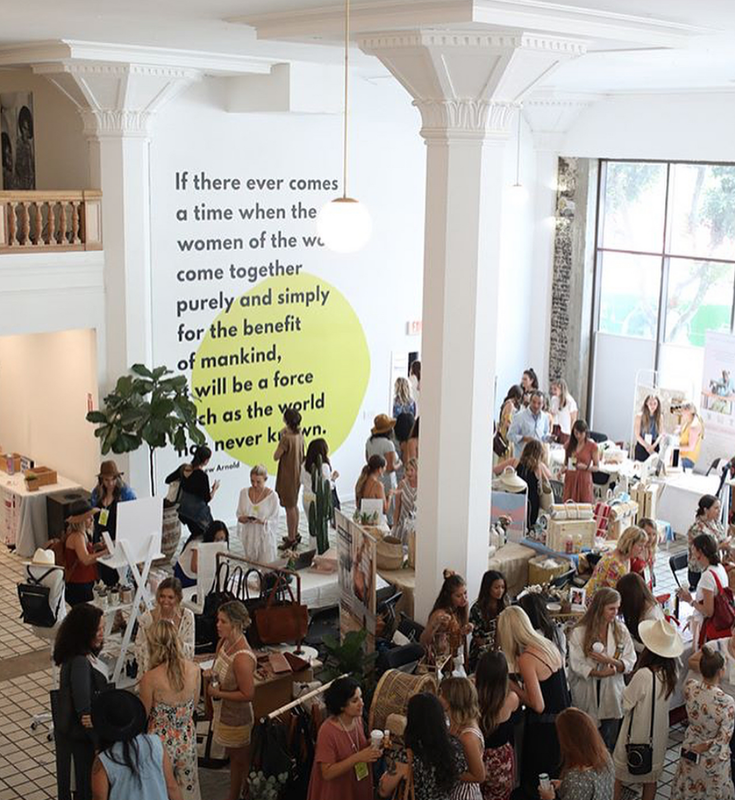 Founder & CEO Dana Malstaff has described it as if ”a mastermind, a spa day and a dance party all had a baby” - which means you KNOW it'll be good! I was on a phonecall with Dana yesterday on my way down to Carlsbad, and based on my gut--- she provides value in everything she does. From what I have read, this event IS a massive business booster. As long as you have a product or service based businesses both reap the rewards at the Boss Mom Retreats. In the Facebook group, I have found it to be an invaluable resource and a truly positive group of moms helping moms in their business. Much respect to these mom bloggers! I had pre-scheduled photoshoots at the conference during the breaks at the Mom2.0 Summit and this impromptu shoot was a blast! On Sunday there's a dance party and karaoke and it sounds really fun! There are still tickets available, but they sell quickly and they cap out at 120 Boss Moms - SO if you’re interested at all, just visit the Boss Mom Retreat Website to check out all the details and grab yourself a ticket. Can’t wait to hopefully see you Avenue Mamas in September in San Diego! I am not sure about my childcare situation but I might even commute from LA if I have to! I love San Diego, I did my Residency here and lived in Hillcrest and Mission Valley for 3 years. Let's have us Avenue Mamas represent! We weren't meant to raise our children alone, and certainly own a business without help! I encourage you to put yourself out there whenever you can!